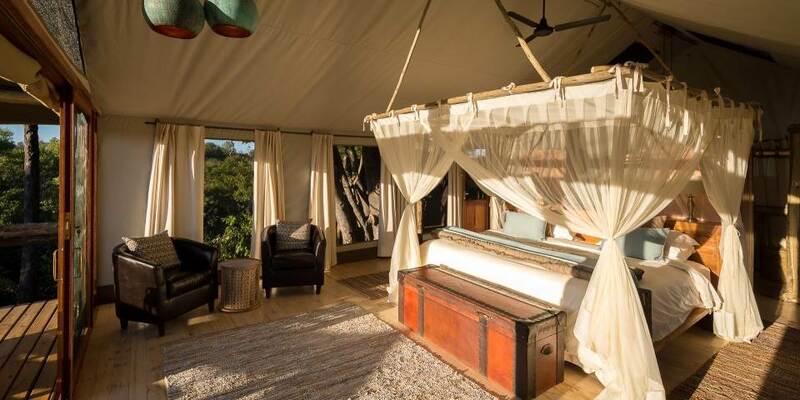 Little Tubu is a stunning little 3 roomed camp just around the corner from its sister camp offering more intimacy and views over a seasonal river. 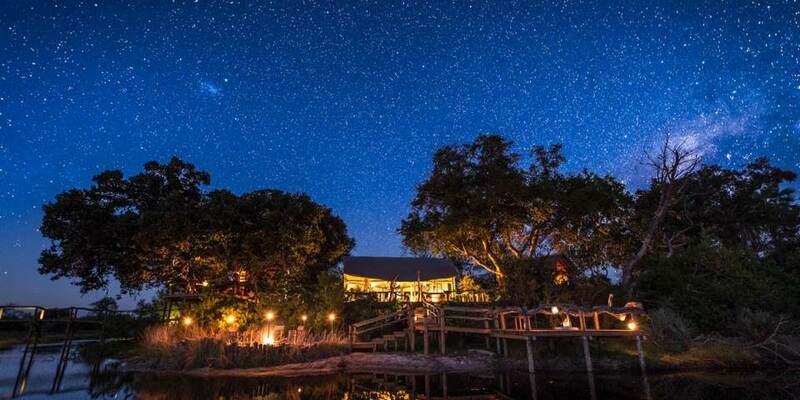 It is the perfect exclusive use camp in the Okavango Delta. 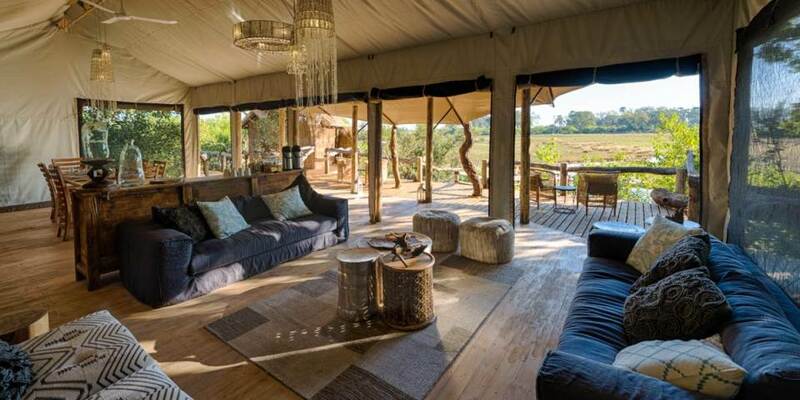 Little Tubu Camp offers the same safari experience as its bigger sister but just a much more intimate one. 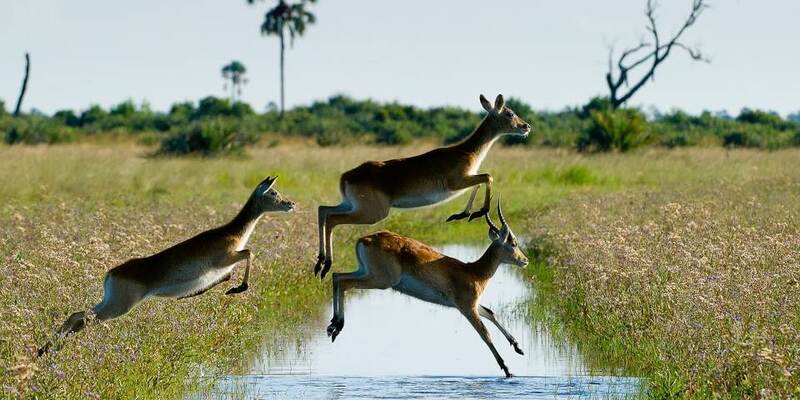 Elephant, lion, zebra, red lechwe, giraffe, tsessebe, and blue wildebeest are seen out on the floodplains and kudu, impala, bushbuck and leopard are also seen in the forested areas. 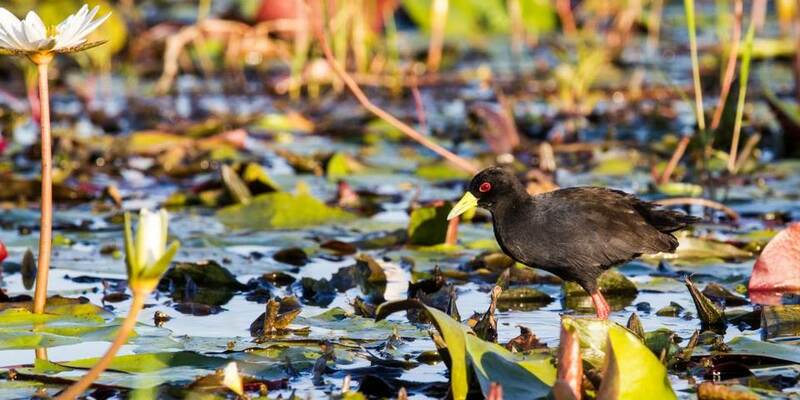 The variety of bird life is equally impressive, with dry-land species seen on the large islands and a multitude of wetland birds seen on the floodplains and waterways. 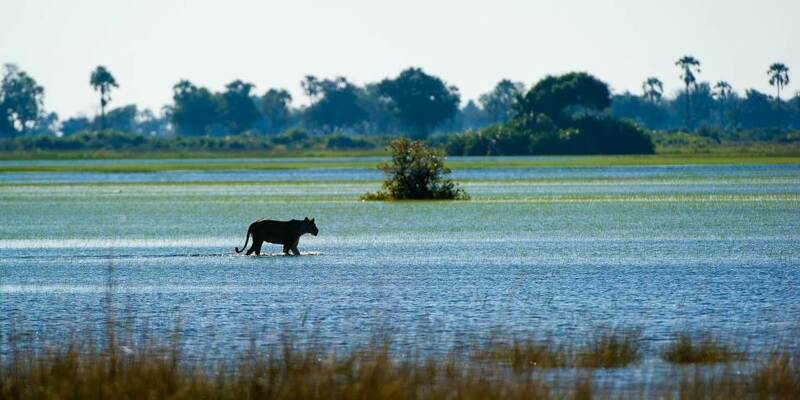 Game drives and night drives are offered throughout the year and there are also water activities such as boating, fishing and mokoro when water levels permit. There are 3 beautifully styled canvas tented rooms built on raised platforms 2-3 metres up offering stunning views over the seasonal river in front of camp. 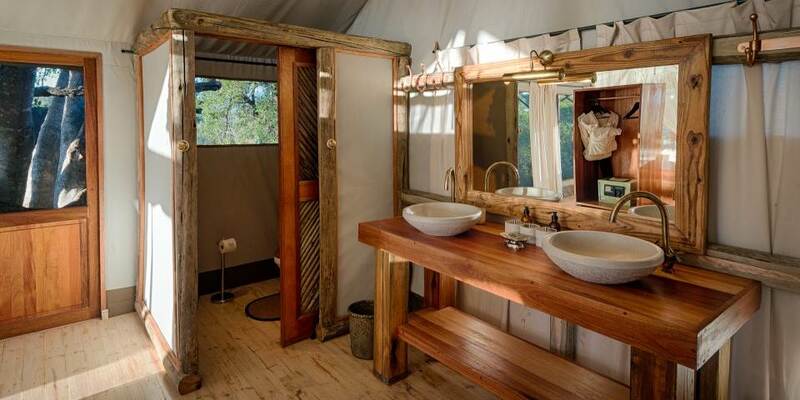 The en-suite facilities include a double vanity unit and both indoor and outdoor showers. The main area comprises a lounge and dining room which are built high up on raised decks, there is also a bar and pool.